The Department of Astronomy & Astrophysics and the Kavli Institute for Cosmological Physics are pleased to host a Midwest Town Hall meeting on New Worlds, New Horizons in Astronomy and Astrophysics, the recently released astronomy decadal survey. 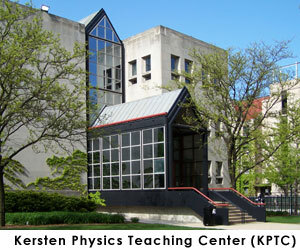 The program will be held on Wednesday October 6, 2010 in Kersten KPTC 106 and will begin at 3 pm and end at 6 pm. It will consist of a 50 minute presentation by Astro2010 Committee members John Carlstrom, Joshua Frieman, Dan McCammon and Michael Turner, with the remainder of the time for questions, comments, and discussion. This town hall is part of the community response to Astro2010 that will culminate a Town Hall meeting at the Seattle AAS in January 2011.